After going to an event, I came to CIAK In The Kitchen alone for dinner. Sometimes I do like coming alone as I would always be arranged to sit at pasta station to see the chef prepare the pasta. Once sitting down, the bread basket was served and it smelled so good. The thin bread was baked to crispy and soft bread carried the delicious taste of Rosemary and olive oil. 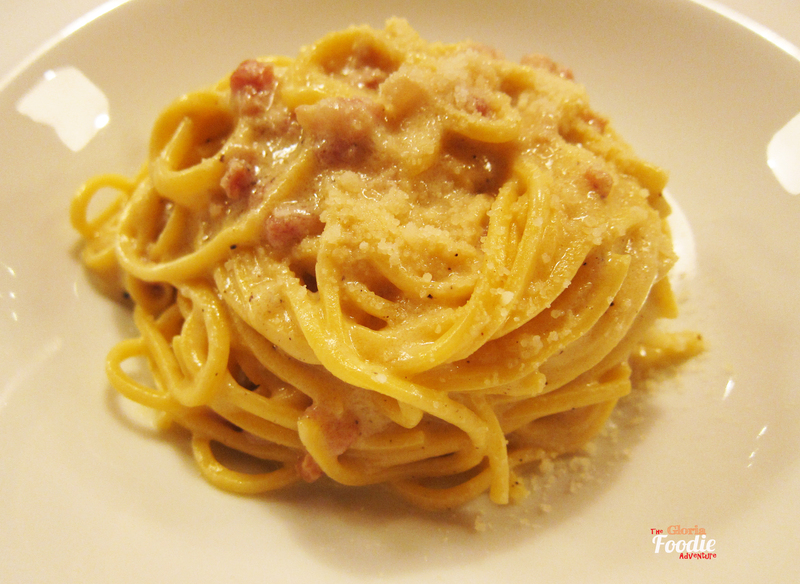 Watching the chef preparing the pasta, I looked forward to my Carbonara. In the meanwhile, other pasta were also being prepared. Once the Carbonara was ready, chef served it to me directly at the pasta station. It was cooked al dente and was absorbed the sauce with creamy and cheese flavour. The ham smelled so nice as well. This is really one of my favourite pasta with simple ingredients. Still wanted to order something more after the pasta, here I had the Ciaoco-cocco. 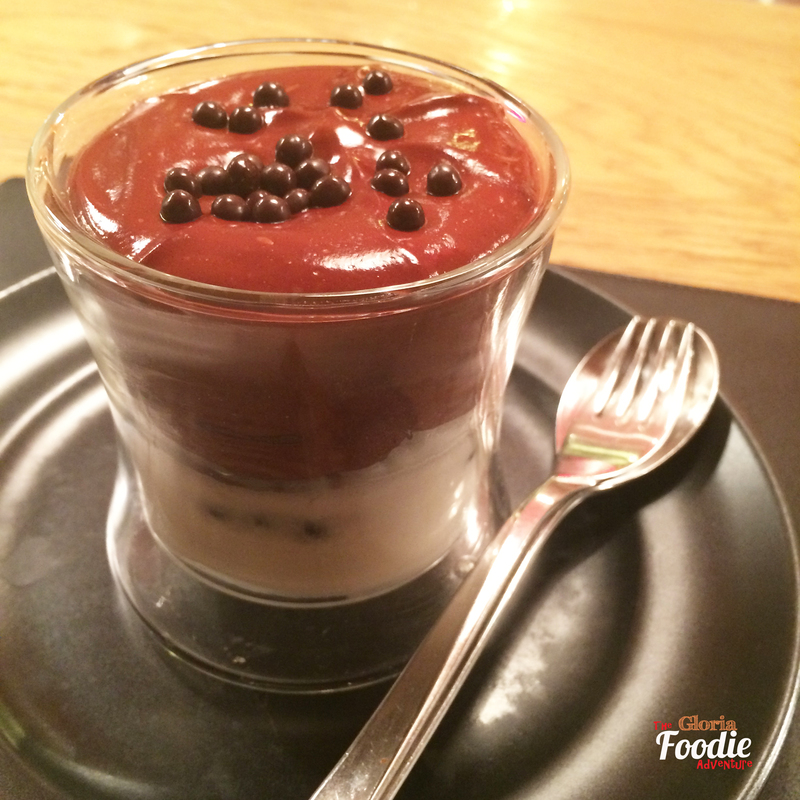 It was a dessert that every chocolate lovers can’t resist. A combination of chocolate mousse, warm chocolate brownie and coconut ice cream at the bottom. The presentation was quite cute and delicate. I tried it in 2 ways. Firstly, I mixed the mousse and brownie together to enjoy the sweetness and richness. Then had a bite of the coconut ice cream to refresh. The second way is to eat all three layers together to enjoy the softness and hardness, and cold and warm texture together. How delicious it is!! It had its reason to get the one star reward from Michelin. Highly recommend.